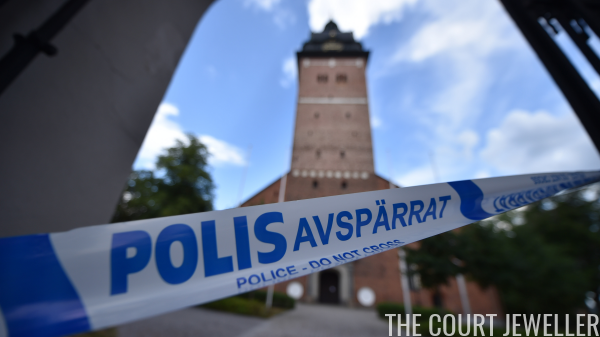 Sad news out of Sweden this week: around noon on Tuesday, thieves swiped a pair of crowns and an orb from a display at Strängnäs Cathedral. 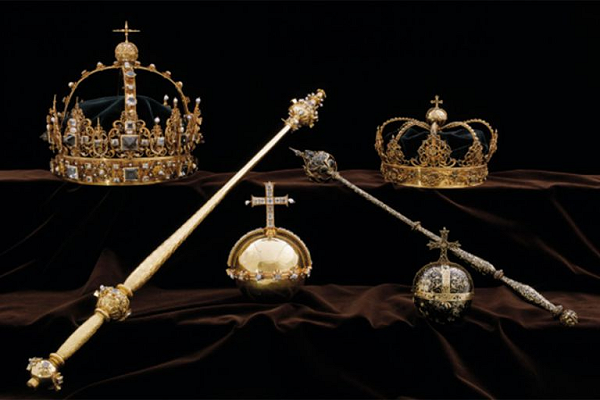 I've seen lots of sources describing the items as part of Sweden's crown jewels, which isn't precisely true. The crowns and orb were part of the funeral regalia used in the burials of King Carl IX of Sweden, a monarch from the Vasa dynasty who died in 1611, and his consort, Christina of Holstein-Gottorp, who died in 1625. The regalia was buried with the king and queen in their tombs at the cathedral, but the pieces were later exhumed and placed on display. In broad daylight, thieves stole the crowns and orb from their glass display case (which was alarmed) and escaped by boat. Authorities are still searching for the thieves and the stolen items. 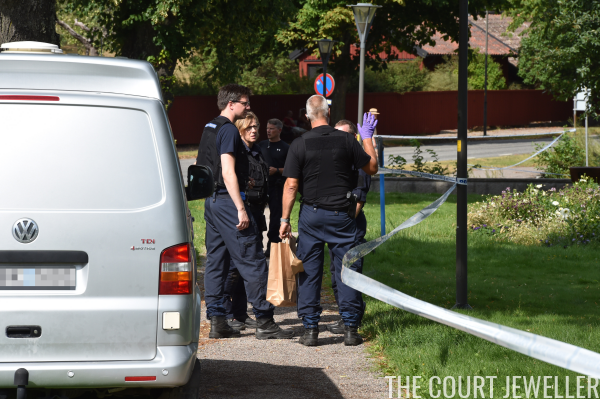 One police spokesperson told Aftonbladet, "It’s 1-0 to them right now. We want to spread information and pictures of these items so that they can be identified as stolen objects." Here's hoping the priceless objects turn up soon.